DreamMates was founded somewhere in 1999. Because no further information is known, we only analyze the position of the outer planets and bodies. According to their Web site, DreamMates is one of the top 10 online dating sites in North America, boasting over three million members. The corporation chart shows a powerful Uranus in Aquarius (in rulership). We can't know the position of Uranus exactly, because we don't know the exact date of the foundation of DreamMates, but Uranus might be in sextile aspect to Pluto. On the other hand, Uranus can be on the 15th degree of Aquarius too, a most opinionated, erratic, upsetting and disruptive degree. Because there is no certainty, we are not going to try to interpret this chart any further. In the coming years, transiting Uranus is going to square Pluto in the corporation chart, bringing about some power struggles. There is quite some competition on the market. Transiting Neptune conjuncts Uranus, bringing more and more uncertainty in the World. 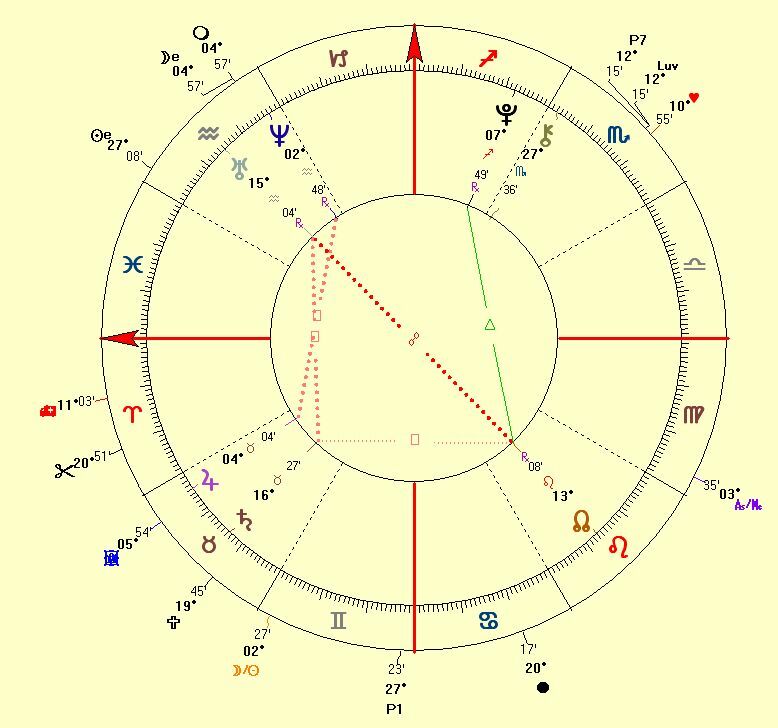 No doubt that DreamMates would have it difficult to survive under such transits. DreamMates is no longer online.